Another contender among smart glasses has emerged from China-based AR and VR headset maker Shadow Technologies. The smart glasses, called Shadow Air, are a lightweight pair with three cameras enabling tracking of the environment as well as supporting hand gestures and controller input. It has an in-built processor and therefore does not connect to your smartphone via cable as most smart glasses do at the moment. Albeit a bit more bulky than other counterparts, it is still another fresh contender to play the field while we await what Apple has in store for us. Yet another tech giant joins in on the smart glass wave with Huawei releasing their own set of smart glasses. 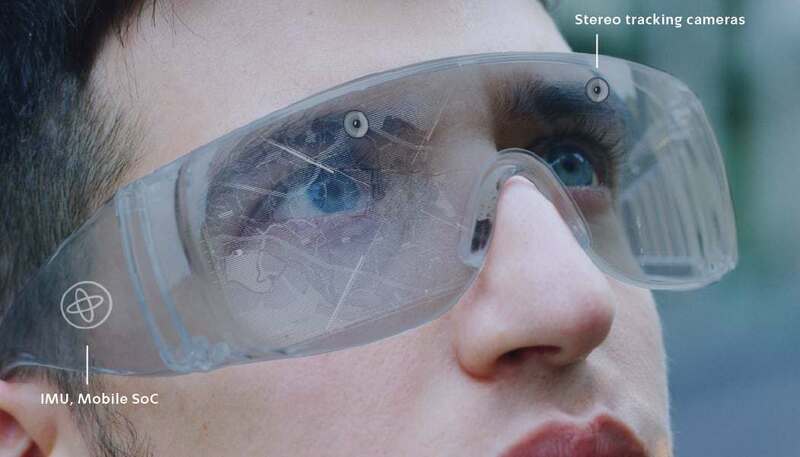 They are described as “smart eyewear” with the arms of the glasses holding dual mics, noise reducing speakers, wireless antennas, a battery and charging. This means the augmented experience only comes in audio format as well as wireless phone calls among other features. For now, only a presentation video has been released, and neither a price nor a release date, so one may be left to wonder if by the time they are released, consumer interest will have waned and moved on to more immersive smart glasses? Geo-located AR company Scape has been mentioned here before, but had yet to be implemented. Geo location AR having a vast amount of potential, giving developers the possibility of creating permanent AR stamps in the real world, the company decided to organise a hackathon to get developers to put together new apps using SpaceKit SDK. The result varied from preposed AR advertising to a drone delivery service app, where the user could pick and visualise drone landing spots. We mention this only to slightly colour a picture of a near future, where not only does this world have a digital twin, but you may even find it layered right on top of the real thing. A strategic partnership between Infinity Augmented Reality, an Israeli startup and Alibaba, E-commerce supergiant, was sealed with Alibaba acquiring the startup, announced last week. The startups’s AR glass platform enables developers to integrate AR into their apps. Together they aim to “bring unique knowhow in sensor fusion, computer vision and navigation technologies and offering benefits to customers, partners and developers”. Alibaba previously having invested in companies like Magic Leap, this partnership may bring interesting developments during the current emergence of smart glasses, as well as developments in online shopping.